D’Emmalishon proudly displaying the kitty kite. 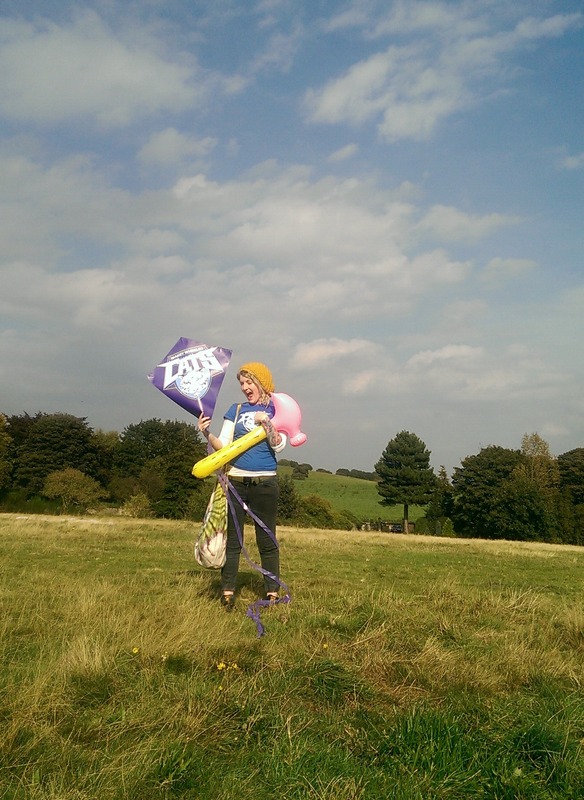 Heath Common Kite Festival is a huge event that takes place every year in Wakefield, attracting visitors from across the country. So the Cats and newly recruited kittens decided to spend their time away from the track in the great outdoors armed with their kites. The creative team joined in the festivities with their very own WWC kite, made by Zandra and ‘D’Emmalishon’, and other Cats brought their own kites along too. 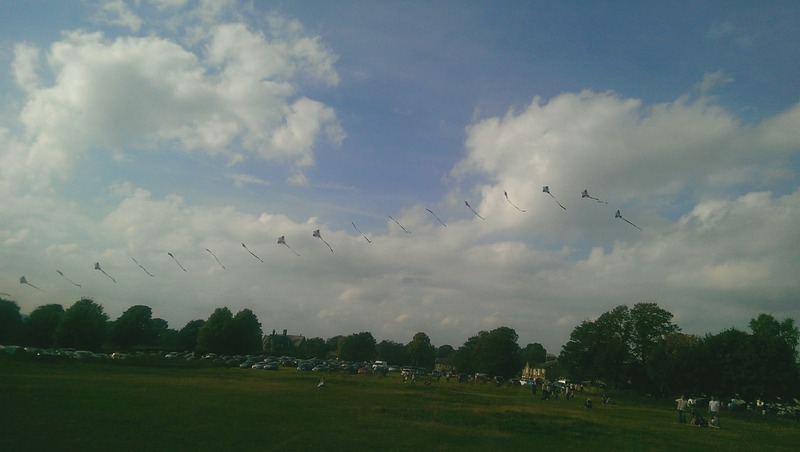 Driving up to Heath Common on Sunday, it looked to be the perfect day for kite flying, lovely open fields plenty of hills and lots of people also hoping to get their kites in the air. The Cats were in high spirits and not alone with our home-made kite as many others attending and also had the same idea, adding variety to the shop bought and professional kites on display. 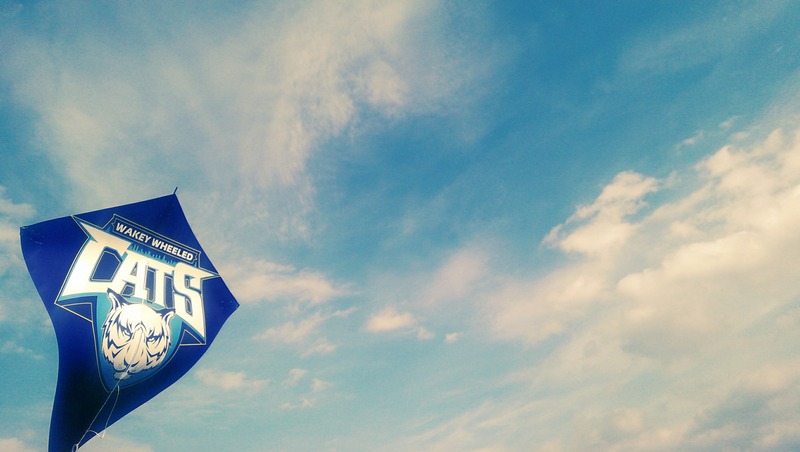 Even the pros turned out with their larger-than-life custom kites. Being slightly new to the area I was super excited for the Kite Festival and had heard such great things about it from previous years, but unfortunately it wasn’t to be. On the one day of the year you hope for glorious wind we got glorious sunshine, without a cloud in the sky. Not being defeated easily, we tried in vain to get the kite into the sky but it wasn’t to be, with not a gust of wind in the air the kite kept falling to the ground. Defeated by the weather and with our kite now looking a little bit worse for wear we decided to call it a day. But will be back next year with a bigger and better design, lets hope for wind!